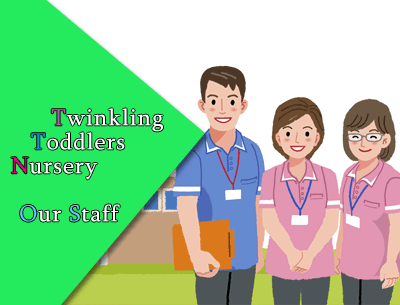 At Twinkling Toddlers we have staff with qualifications ranging from level 3 level to degree levels and all are DBS approved to ensure effective measure of safeguarding are in place. All staff has continual access to in house and external training not only to improve their continual development, but also to also continually improve the provision, which we offer. Our staffs are also SENCO trained to support and develop individual needs and abilities of SEN children. We us the knowledge and skills gained from qualifications, experience and trainings to enable us to scaffold children’s learning experiences which take place continuously, enabling them to reach their full potential in all areas of learning and development. Through the session we ensure all children have access to fresh drinking water and a variety of healthy food items as seen in are routine to which we also won an award for.